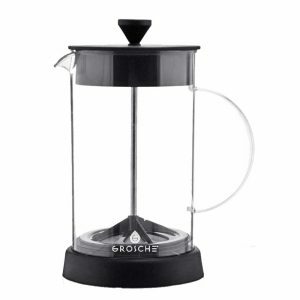 An 8-cup/1000 ml BPA Free Plastic french press made with shatterproof Tritan material. Perfect for restaurants, camping, or travel! 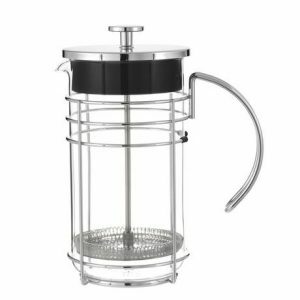 Say goodbye to continuously broken beakers with our shatterproof French press! This plastic French press is made with durable Tritan™ plastic that is both BPA & lead-free and safe for dishwashers. 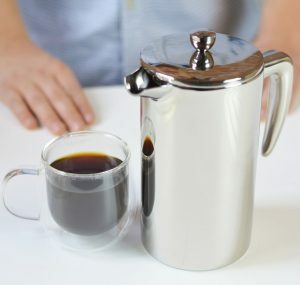 Make yourself a cup of hot or cold brew with this unbreakable French press. Designed for hot and cold drinks. With a capacity of 1000ml / 34 fl. oz, you can easily make enough of your favourite coffee or tea for 2-3 large cups. Even with the finest mesh filters, some of those tiny grinds seem to slip through the cracks. With our Brooklyn French press, we have two filters to ensure only coffee goes into your cup, while the grinds remain in the French press. The first filter, like most French presses, is attached to the plunger to press all the coffee grinds to the bottom. Additionally, we have also included a secondary filter in the lid of this plastic French press. This is to keep those bits of coffee from slipping into your morning cup. 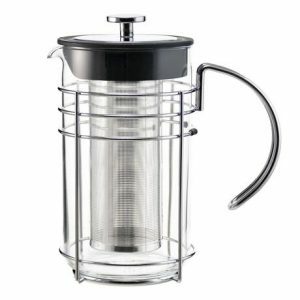 Although this plastic French press may look like glass, it is in fact made with clear, durable Tritan™ plastic. This material is free of BPA, BPS and any other bisphenols. It is also completely dishwasher safe, and compatible with both hot and cold liquids. Ideal for Restaurants and Food service applications too! 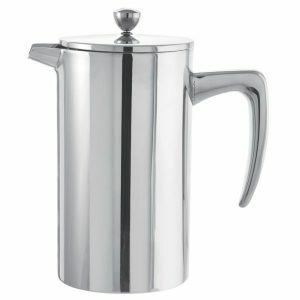 This shatterproof French Press ends the top issue with French presses, broken glass beakers. That makes it ideal for restaurants and food service applications. Especially since restaurants like to avoid broken glass in their custom coffee services for risk of contamination. The Tritan material is safe for commercial dishwashers and will not become brittle like other plastics in the high temperature environments. It is also completely food safe as its made with USA Tritan material. 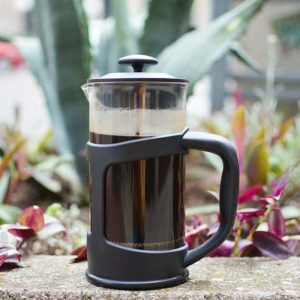 Use this unbreakable French press for cold brew! Making cold brew coffee or tea is easier than most people think. And it’s a perfect alternative to your typical summer morning brew. Simply add coarse grind coffee or loose leaf tea to your plastic French press and fill with cold water. After, leave your Brooklyn in the fridge to concentrate overnight, and you will have a refreshing cold brew to wake up to. To learn all about the benefits and making it yourself, see our blog post about How to Make Cold Brew Coffee in a French Press.